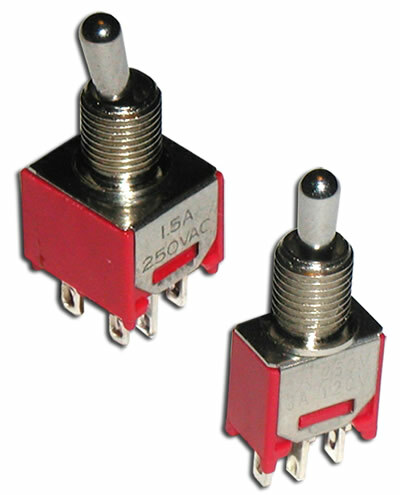 Available SPDT or DPDT with numerous functions, the BNT Series sub-miniature switch offers multiple latching options. 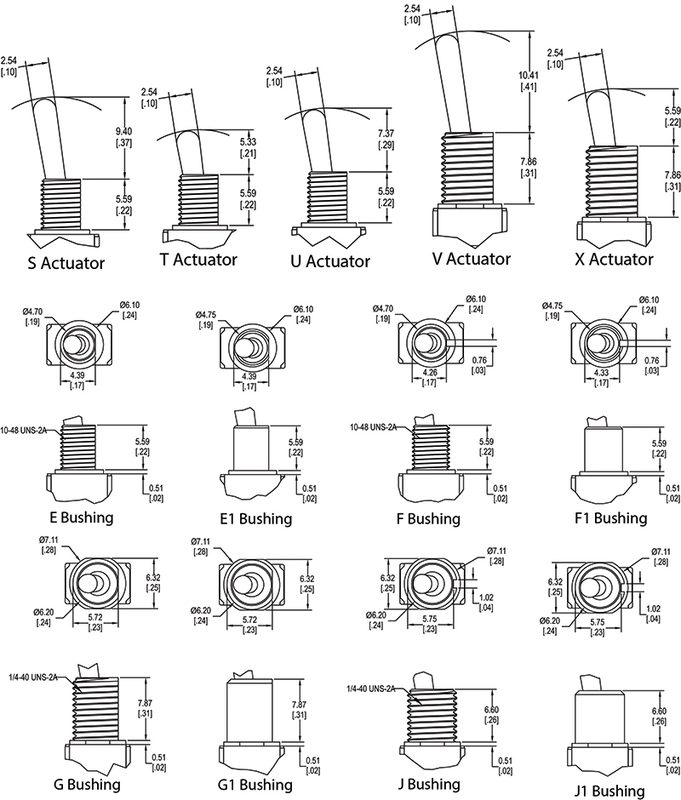 Terminal options include solder lug, PC pin, quick connect, horizontal mount right angle PC pin or snap-in bracket, vertical mount right angle PC in or snap-in bracket, PC pin support bracket or snap-in support bracket. 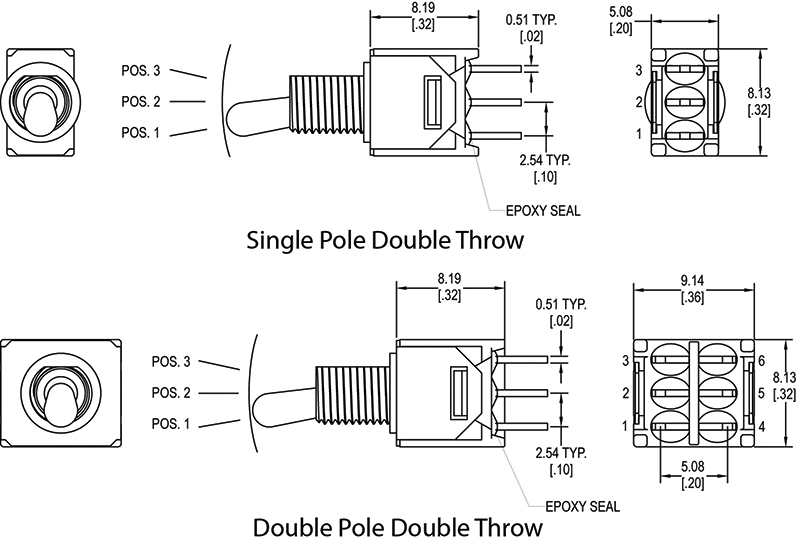 This single or double pole double throw toggle switch offers many bushing options with actuator length ranging from 5.33mm up to 10.41mm.